Apple’s TV push may not be as grandiose as some analysts have touted over the past few years, but the Cupertino’s treasured hobby has certainly gotten more respect and attention over the last few months. Following on from the wide range of services and content recently added to the little black box, Yahoo has brought its Screen app to Apple TV following the release of the AirPlay-enabled app for iOS early this fall. Details, as ever, can be seen after the jump. 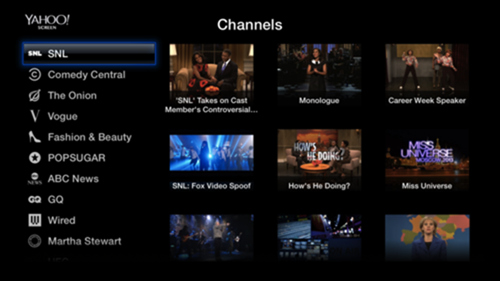 The new Yahoo Screen app brings a deluge of content such as SNL, The Daily Show and The Colbert Report, and although the iOS App – one of the latest in a growing list of useful apps that Yahoo has made available to iOS users – allowed such content to be played via Apple AirPlay, this native app for Apple TV makes everything a bit more convenient. With the likes of Vevo, Disney and various sports channels all having recently made their way to Apple TV, today also sees a new PBS service taking pride of place on the device. One would need to log in using their social networking credentials, so Facebook or G+, in order to gain access to the content, but for Apple TV users far and wide, today’s updates will be more than welcome. There have been umpteen suggestions that Apple could, and perhaps still will come through with its own brand of connected TV. But as time has progressed without any kind of indication of this being the case, it is now thought that the project has been put on hold, with the focus being on wearable tech such as the iWatch. After Samsung recently released the Galaxy Gear to compete with the likes of the Pebble, more of the industry’s big names are purported to be working on their own versions, and with Google also said to be juggling ideas for a smartwatch to work in harmonious sync with Glass, next year could be a big year for this kind of technology. 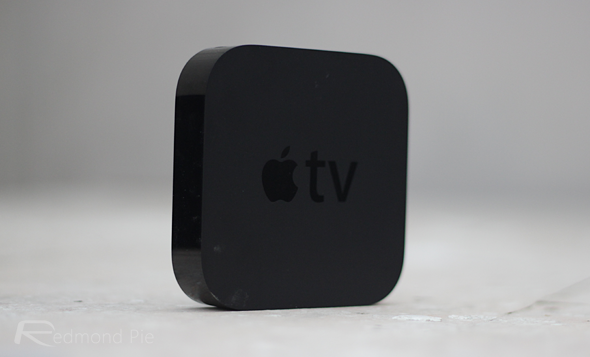 With so many cheap set-tops now available, ranging from Google’s Chromecast to Sky’s Now TV in the UK, it would appear as though Tim Cook’s men are looking to make the most of Apple TV, and today’s updates only underline the notion that this is indeed the case.